Memory: 36Mbit (4.5MB) Rambus DRAM [4MB + parity]. [250MHz clock, data transfers on both clock edges]. 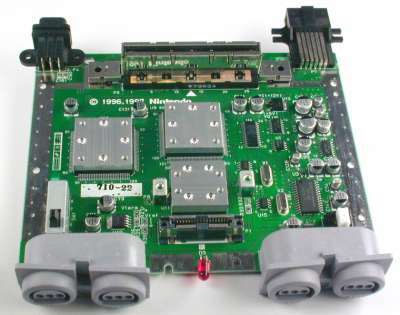 Graphics/Sound Coprocessor: 'Reality Immersion' (RCP) Coprocessor. Output Resolutions: 256×224, 646×486 (NTSC), 768×576 (PAL). Flicker free interlace mode supported.